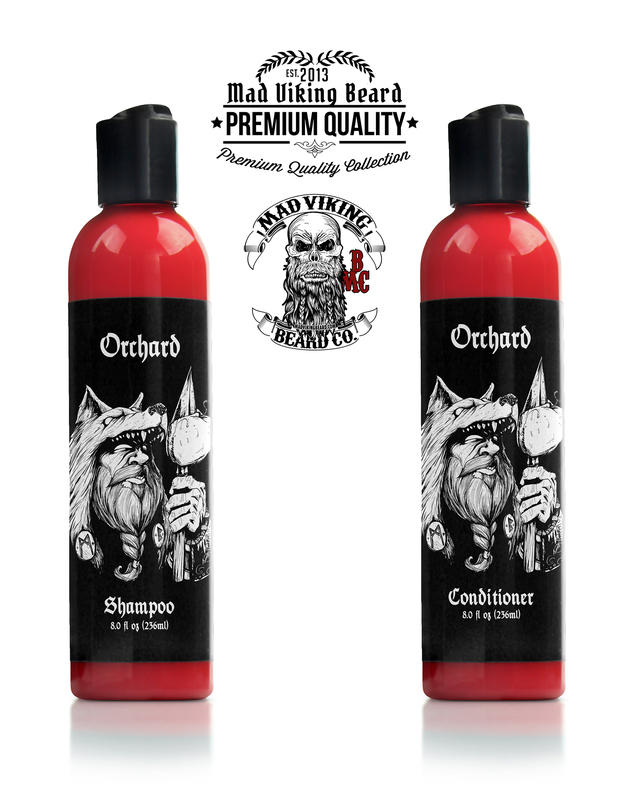 Mad Viking Orchard Shampoo & Conditioner - Mad Viking Beard Co.
Mad Viking proudly presents our salon quality The Orchard scented shampoo and conditioner, available in 8 ounce bottles. We use the highest quality ingredients to offer a product that cleans thoroughly without stripping the hair of it’s natural oils. PH balanced for maximum effectiveness and safe for everyday use on your head as well as your beard. Our shampoo and conditioner is sulfate and paraben free. 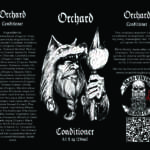 In our signature “The Orchard” scent! Scent Profile: Red Apple scent, just a bit of vanilla to round it off. Over all a nice clean crisp scent. 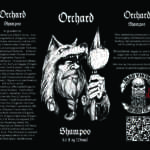 Mad Viking proudly presents our salon quality The Orchard scented shampoo and conditioner, available in 8 ounce bottles. We use the highest quality ingredients to offer a product that cleans thoroughly without stripping the hair of it’s natural oils. PH balanced for maximum effectiveness and safe for everyday use on your head as well as your beard. Our shampoo and conditioner is sulfate and paraben free. 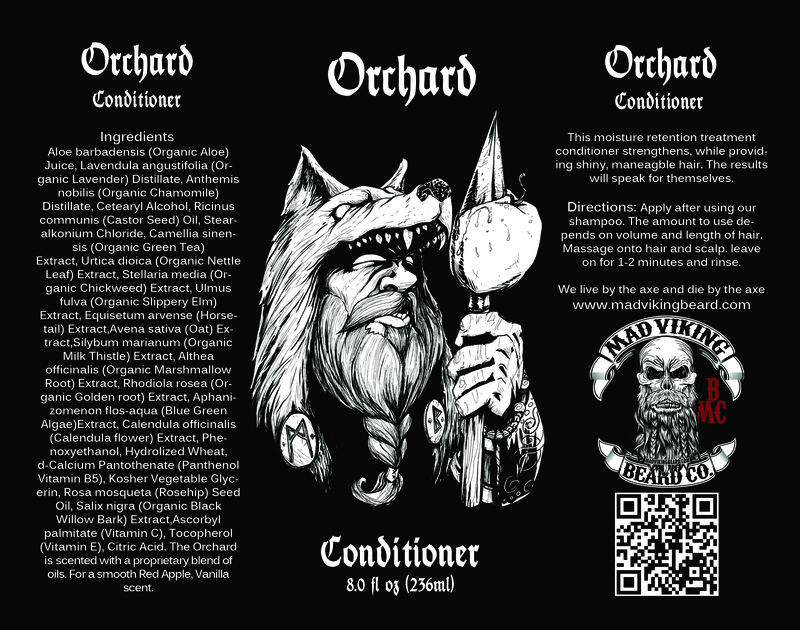 In our signature “The Orchard” scent! Add a starter pack and get the full line up of this amazing scent. 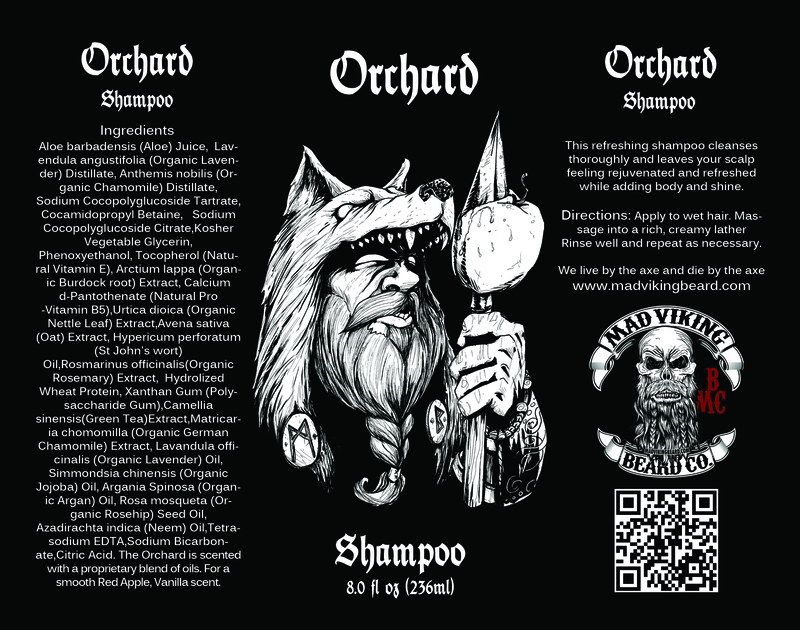 Scent Profile: Red Apple scent, reminiscent of a Viking raid through an apple orchard. Just a bit of vanilla to round it off. Over all a nice clean crisp scent.